Penn Dental Medicine is helping to make quality dental care accessible. This year, the World Health Organization celebrates its 70th anniversary! In celebration of seven decades of work directing and coordinating international health, the focus of this year’s World Health Day celebration is “Health care for all.” This is a massive undertaking and one of critical importance. More so, it is a project that will require diverse and creative solutions. Penn Dental Medicine is proud to represent one of those creative solutions to healthcare access. 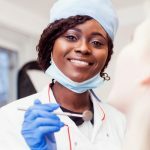 How Can Dental Educational Clinics Help to Achieve Health Care for Everyone? Penn Dental Medicine is an educational dentistry clinic. Our clinical care is not only enabling broader community access to quality dental care; it’s also offering broad access to the nationally-recognized, elite-grade dental services of University of Pennsylvania’s Dental Medicine program. As part of the University of Pennsylvania, Penn Dental Medicine has produced cutting-edge research and medical innovation. 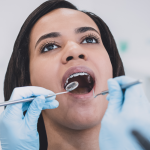 At our clinic, patients can receive care from top student doctors in training, under the close supervision of some of the nation’s leading dental professionals, and all at highly affordable rates. 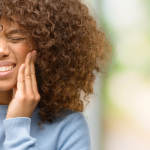 By providing an accessible, economic alternative to standard dental practices, Penn Dental Medicine is helping to bring top-grade dental care to all. Our affordable rates have helped to radically increase the accessibility of dental care within the Philadelphia community and beyond. And by providing an applied setting for Penn Dental students to train in advanced dental practices, Penn Dental Medicine’s clinic is helping to prepare the next generation of leading dentists with the experience needed to contribute in turn to the work of providing health care for all. The provision of quality dental care is essential to the broader goal of universal global access to health care. Dentistry is central to maintaining oral and dental health, and dental health is itself a critical component of general health. 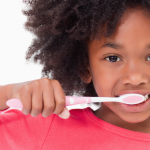 Oral health likewise often displays the earliest indicators of serious, systemic conditions. For this reason, quality dental care isn’t just important for dental health; it’s essential for patients’ comprehensive health. By increasing affordability and access to elite-grade dental care, Penn Dental Medicine is helping to advance the World Health Organization’s mission of health care for all. To learn more about our clinic or to schedule an appointment, contact Penn Dental Medicine today.